Your removable brace has been carefully made to fit your mouth only. Please follow the instructions below to ensure the most efficient treatment. Your brace should be worn all day and night unless you are advised otherwise. The more you wear it the quicker the treatment will be completed. 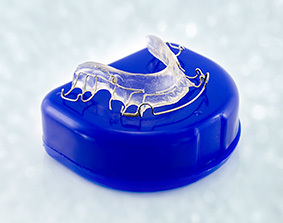 Only take your brace out for cleaning, playing sport or swimming. Wear your brace for eating unless you are specifically told to remove it for eating. You must place your brace in a box if it is out of your mouth. You will talk with a lisp for up to a week after your brace is fitted. The only way your speech will return to normal is if you wear your brace full time. Your mouth will water for 2 days after your brace is fitted and you will want to swallow more than normal. This is only until your mouth gets used to your brace. Remove your brace to clean your teeth. Remember to brush the roof of your mouth to stop your mouth getting sore underneath your brace. Clean your brace using your normal toothbrush and toothpaste. Rinse only with cold water. 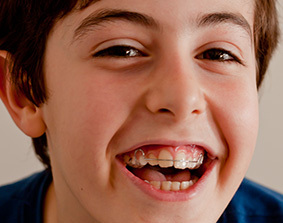 Look after your braces - If you have had treatment carried out by the NHS, they will not pay for a replacement brace in the event of you losing it.